Where you can leave a car? When you rent a car on DublinHire.com you’re about to start one of the best and the most comfortable trips across Ireland. To make your car hire even better you need to know about parking peculiarities. We’re just joking! 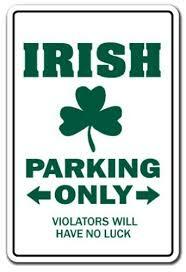 ☺ But, anyway, you should be aware of parking rules in Dublin, Ireland. 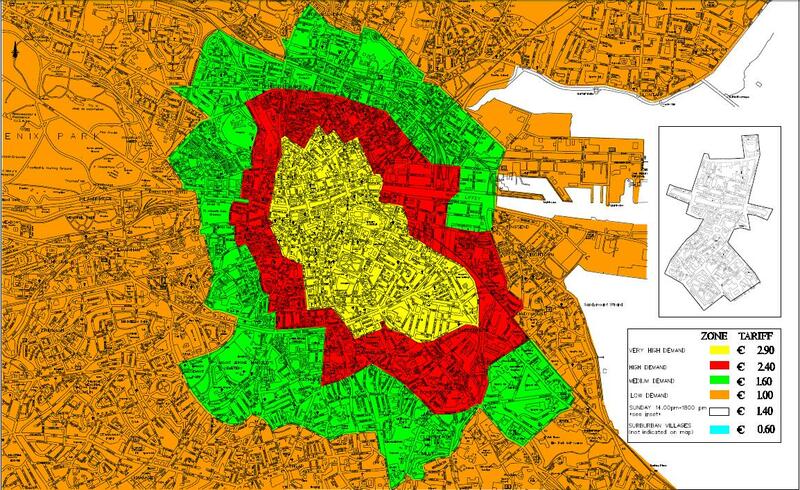 There are two types of car parking in Dublin – car parks and street parking. There are tons of private car parks. They are situated all over the city (both Southern and Northern parts), at the airport and in suburbs. 3 hours is a maximum parking time on streets. 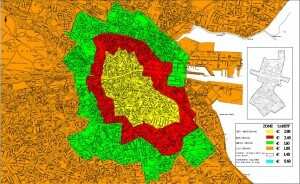 As for street parking, there are several zones within the city with their tariffs. When you would like to drop off the car on street, consider the zone you’re within. See the areas below on the map. Blue zone is not mentioned, because it’s mainly outside the city. How can you understand in which zone you are right now? Look on Pay and Display Machines. Pay your attention to time and days when you can buy a ticket and pay for your park. You can buy it from a ticket machine, by cash-free system Parking Tag or at any Payzone outlet. If you don’t want to interact with a parking ticket machine, you can simply call 0818 300 161 or use Parking Tag App by your smartphone. FREE parking in Dublin, Ireland! 1st January – New Years Day. Also, you can’t park on parking bays reserved for people with disabilities. Additionally, you can’t park in front of school entrances, on grass, on a footpath, opposite a continuous white line, within 5 meters of a crossroad, and at a pedestrian crossing or traffic lights. You can be fined for failing to pay for parking and illegal parking in the city. God forbid from receiving a fine, but if you’ve got it, you need to pay it within 28 days to the traffic division in a local authority. 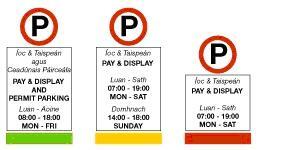 If you’re interested in more detailed information on parking regulations in Ireland, you can read the relevant laws. Road Traffic Act, 1994 and 2002. Thank you for your precious time, dear travelers! Hope that now you feel more confident about your travel across Dublin and Ireland entirely. If you still don’t have a nice and cheap car for your trip, go to www.dublinhire.com and pick yourself the best deal!